Are you ready to spend some time with your family? This weekend is available for you to do just that. 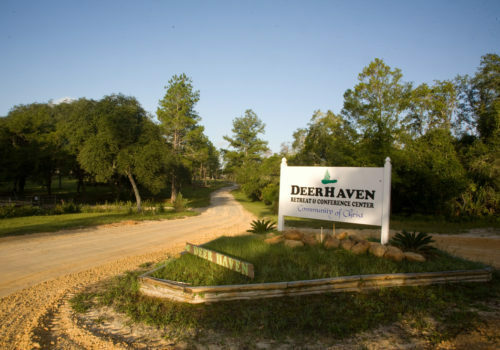 Relax and enjoy the fellowship of your family, AND with your church family at the peaceful Deerhaven Conference and Retreat Center. This campus is large enough to enjoy so many activities together. There is a huge pool for swimming, and a lake for fishing and canoeing (no swimming in the lake). There is a small game room with foosball, table tennis and pool. There are other activities such as, Basketball, Volleyball and Shuffleboard in a covered court area. There is a nursery and a playground for the kids. We will also be bringing games, cards, puzzles, and sports equipment to keep us busy. And of course, there will also be plenty of time to just relax and sit by the fire. Will you join us? First Church budgeted funds to make it affordable for your family. Costs will depend on your desired accommodations. Last year’s rates are listed below and are subject to change. Cabins: If you and your family would like to be split in cabins or if your kids want to hang out with their friends, then cabin living might be for you. Separated by guys and girls, The cost would be $25 per night/person. One cabin bathroom for every 10 people. Motel Style Room: Wanna place for just the two of you? The motel style dorm has two twin beds and a bathroom and shower like an old Florida Motel Style Room. This option would be $33 per night/person. Dorm Room: This is a room, great for the whole family. 3 or more would be happy in this 1 room that sleeps 5 people. (3 twin bunk beds and 1 double bed). It can even link, via a closable door, to a friendly family room next door if you wish. Each room has it’s own bathroom & shower. This option would also be $33 per night/person. Tent Camping: If you want to experience the beautiful outdoors, there is tent camping available for $6 per night/person. You must bring your own tent. Non-Overnight Visitors: Just was to come for the day? The retreat center charges $6 per person/day to use their facility. Come with us for a fun time of fellowship and retreat! Register Here! Signups and a 50% Deposit Due before February 17th. Please turn in final payment to office on/or before March 24th. Located in the Ocala National Forest about forty-five minutes west of Daytona. 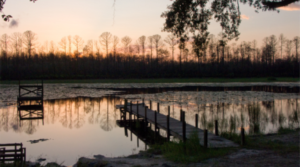 The 70-acre campground includes undeveloped forest areas for primitive camping as well as a modern conference center and dining facility serving up to 200 persons, with housing for about 175+ persons. A beautiful new 2500 square foot pool can be heated for use year-round. A lake on the grounds is used for canoeing and fishing.